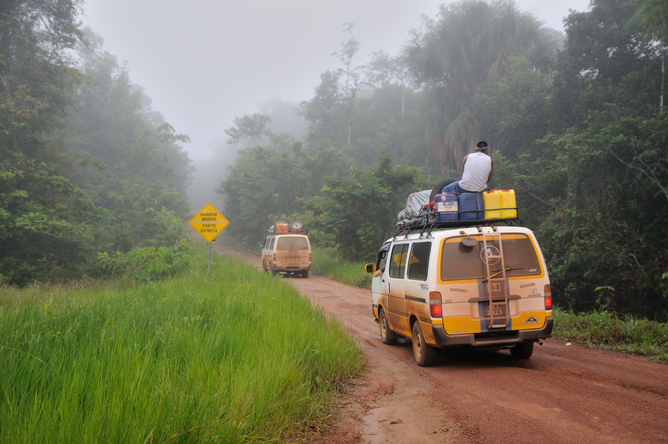 What will expanding the Georgetown-Lethem road mean for conservation? A new report by Conservation International details the predicted impacts of expanding the Georgetown-Lethem road through Guyana’s forests. This report presents an assessment of the potential impacts on Biodiversity and Ecosystems Services that can arise from the upgrade of the Georgetown to Lethem Road. This assessment builds on, and is guided by, a number of previous studies of the planned upgrade. This report includes the results of several studies conducted over a thirteen month period. This entry was posted in News, Protected Areas, Research by guyanaconservationnetwork. Bookmark the permalink.